SY Ena is now part of the museum’s floating maritime heritage fleet. Image: Andrew Frolows / ANMM. This brief report in the Sydney Morning Herald Monday 10 December 1900 and headlined “LAUNCH OF MR T.A. 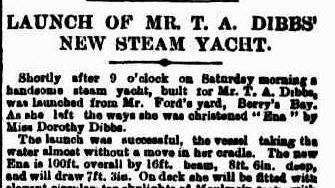 DIBBS’ NEW STEAM YACHT” was reflected in other newspapers with comments describing Ena as “one of the finest specimens of a modern steam yacht in the Australian colonies”. 117 years onwards and SY Ena still is one of the finest of its type, both here and internationally, despite many adventures since it was launched. Now it has come home again to Sydney, within sight of where it was built. SY Ena is now part of the National Maritime Collection at the museum. 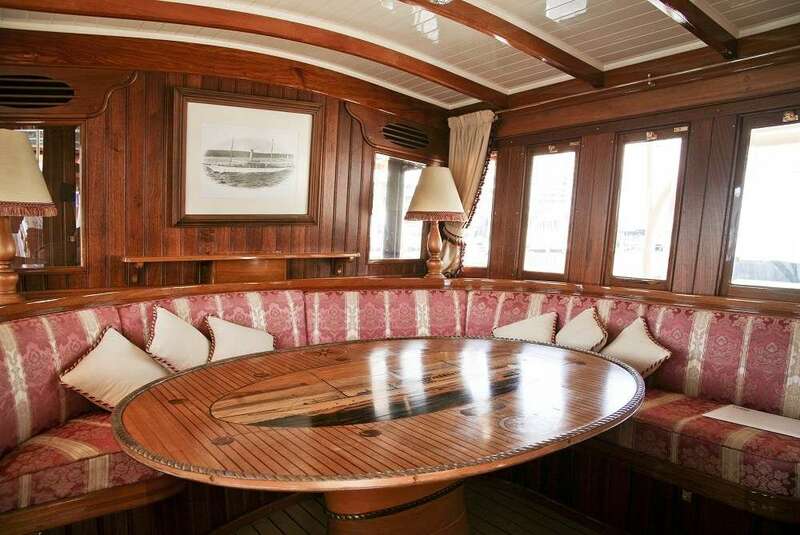 The extremely generous donation of the steam yacht by its owner Mr John Mullen. The launch of SY Ena as noted in the Sydney Morning Herald, 10 December 1910. Image: National Library of Australia via Trove. SY Ena is 30 metres long and was designed by Sydney naval architect Walter Reeks at his Pitt St office, near Circular Quay. He was the premier designer of this period, and this was one of his many outstanding and elegant vessels. The builders, WM Ford boat builders from Berrys Bay, North Sydney were equally prominent, and known for having built some of the most important craft on Sydney Harbour over many decades. Thomas Dibbs (later Sir Thomas) was the manager of the Commercial Banking Company and commodore of the Royal Sydney Yacht Squadron, and well-known for his philanthropy too. It was his second steam yacht and was significantly larger than his first vessel also called Ena and named after his wife Tryphena. SY Ena in the early 1910s. Image: Dibbs’ family. 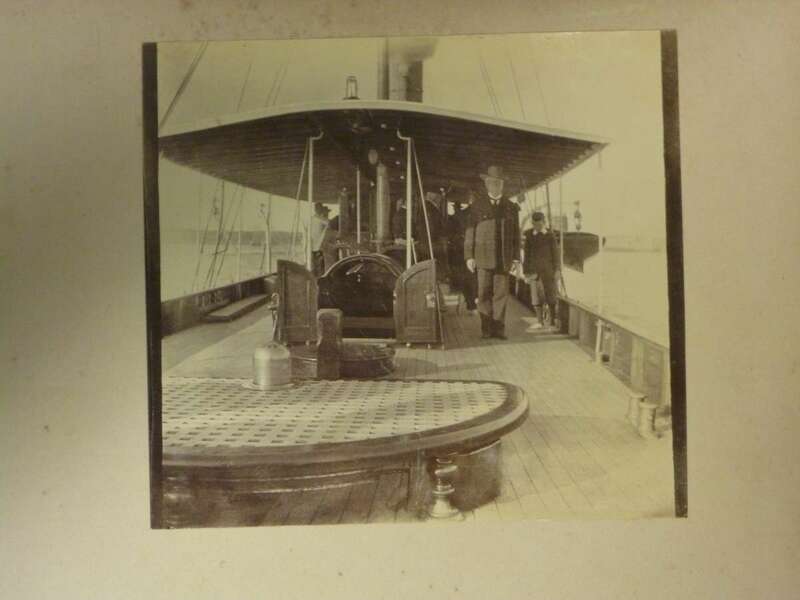 On board SY Ena in the early 1910s. Image: Dibbs’ family. 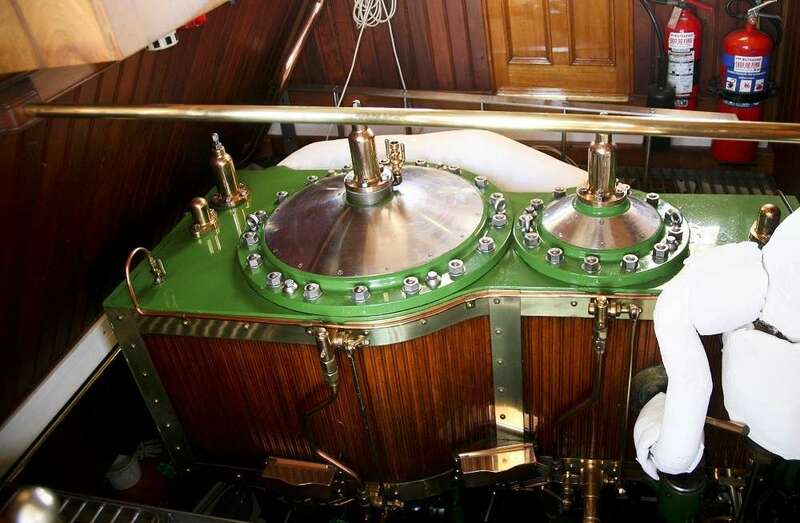 SY Ena is one of the very few classic luxury steam yachts extant in Australia, and alongside Lady Hopetoun is one of two designed by Walter Reeks and built by WM Ford boatbuilders. Ena represents the highest quality of both Reeks and Ford’s design and construction capabilities and shows how during this period Australia could build craft equal to anywhere else in the world. SY Ena cross section. Image: ANMM archives. 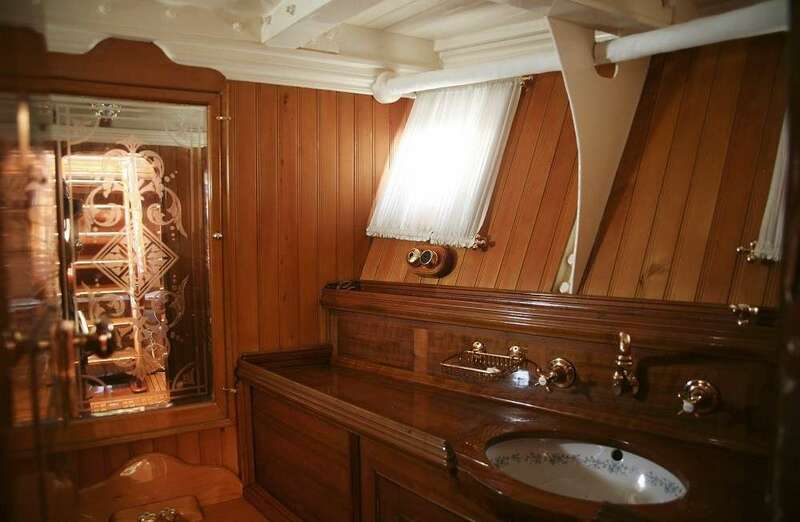 The vessel was built largely with Australian timbers, the exception being the choice of the lighter New Zealand kauri for the topsides planking. It was considered a light but strong hull and has proven to have been durable. The original machinery was made in Australia. The requirement was for a vessel suited to day trips and entertaining guests, and the layout provided for two cabins and a large open but covered deck area. The interior fit-out was designed and built by Beard Watsons Ltd, another well-known firm in Sydney’s commercial and retail history. Dibbs used SY Ena for many years on the Harbour or up at Pittwater before its adventures began, taking it north to the Torres Strait and later south to Tasmania, before coming back home to Sydney. 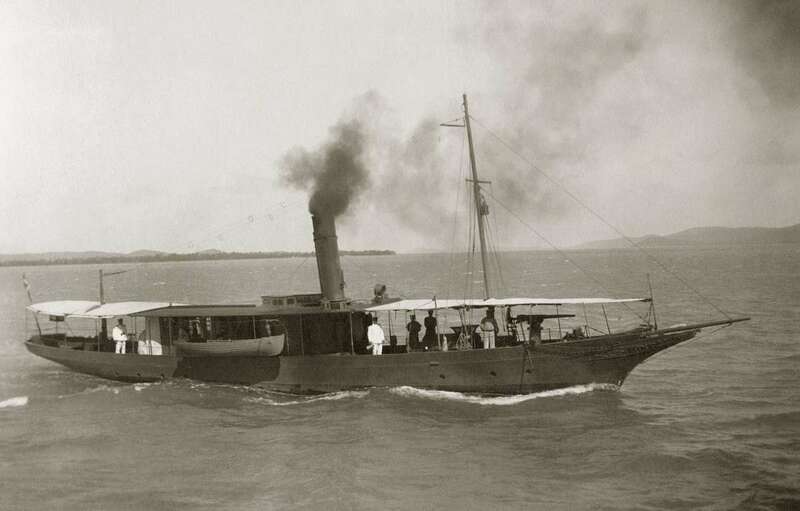 During World War I, in early 1917, Ena was bought from Dibbs by the Royal Australian Navy and employed as a patrol boat in Torres Strait and along the east coast during World War I. Renamed HMAS Sleuth, painted dark grey and fitted with a gun on the foredeck the ship was intended to patrol the area for armed German raiders. Unfortunately, it was not suited to this work and after a short period north Ena ended up back on Sydney Harbour as a training vessel. It is now understood to be one of only two surviving World War I Australian war service vessels. SY Ena as HMAS Sleuth during World War I. Image: ANMM archives. After the War, it was bought from the Navy and returned to being a private yacht on Sydney Harbour. In 1933 it went South, when it was sold to a Tasmanian and operated out of Hobart ,to Bruny Island and the D’Entrecasteaux Channel as a trading vessel. It was later left idle for many years and became caught in a legal dispute, before the Roche brothers, bought the vessel and used it for shark fishing. It was then known as Aurore. In the late 1970s, it struck an object in the channel and sank. 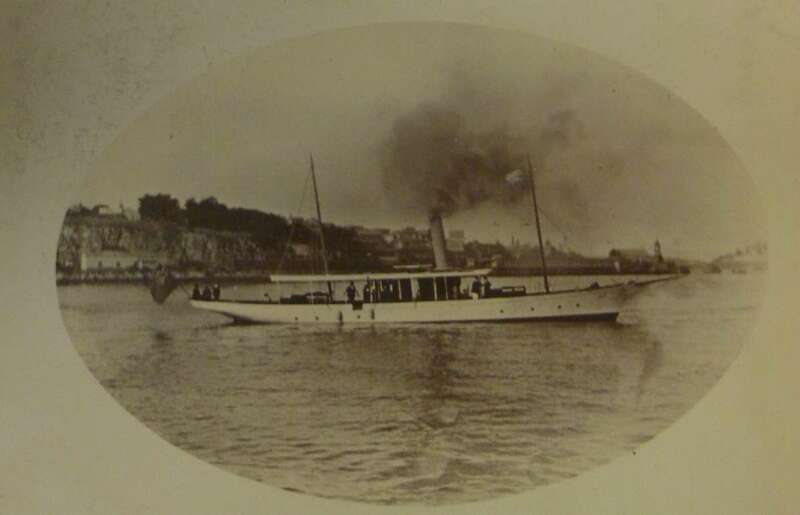 At this time a syndicate in Sydney headed by businessman Pat Burke was looking for a craft similar to the Lady Hopetoun for use as a charter vessel on Sydney Harbour. Shipwright Nick Masterman, from Sydney, suggested that restoring the sunk Ena would give them a craft equal to Lady Hopetoun. The project was commenced under his guidance in 1984 and completed in Sydney in 1986. The structure and arrangement was restored and rebuilt close to how its orignial bulid. 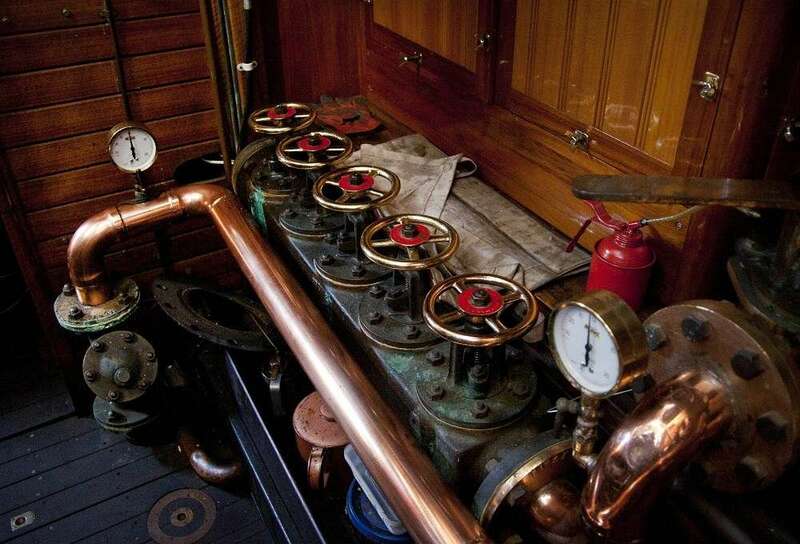 A new steam engine was made, based on the remains of an existing steam engine used in another Reeks designed ship Excella. The project cost over $3 million and created a restored vessel that was supplemented with modern requirements so that it could be put into commercial survey for passenger charter work on enclosed waters. This was one of the first large Australian restoration projects and at the time helped the resurgence of interest and support for heritage vessels in Australia. Interior views of the SY Ena. Image: ANMM. Between 1986 and 1987, Ena steamed to Fremantle for the America’s Cup and then returned, completing a circumnavigation of the mainland. In 1989 it was seized by creditors for one of the syndicate and later sold to a private owner. It was well maintained, kept in survey, berthed in Berrys Bay then Blackwattle Bay and made available for charter but was apparently only occasionally used. It was sold in 2013 to private owners and taken to Melbourne to continue its use as a charter vessel, but returned to Sydney and new ownership in 2016. During those last decades, it has been difficult for the public to access and appreciate Ena. Now back in Sydney and its home waters, the museum will maintain SY Ena as an operational vessel for charter opportunities on Sydney Harbour and will be on display as part of our heritage fleet. Take a tour SY Ena with your Big Ticket. Tour times are subject to availability of guides, so be sure to check with our friendly staff on the day of your visit for further details.